WEST LAFAYETTE, Ind. - Half of the world’s population currently lives in urban areas, and that figure is expected to increase to around 75 percent by 2050. To address such expected future challenges in cultural diversity, sustainability, urban planning and security, the Cities for Life Global Initiative is mobilizing academic institutions across the world and has selected Purdue University to coordinate efforts in the United States. 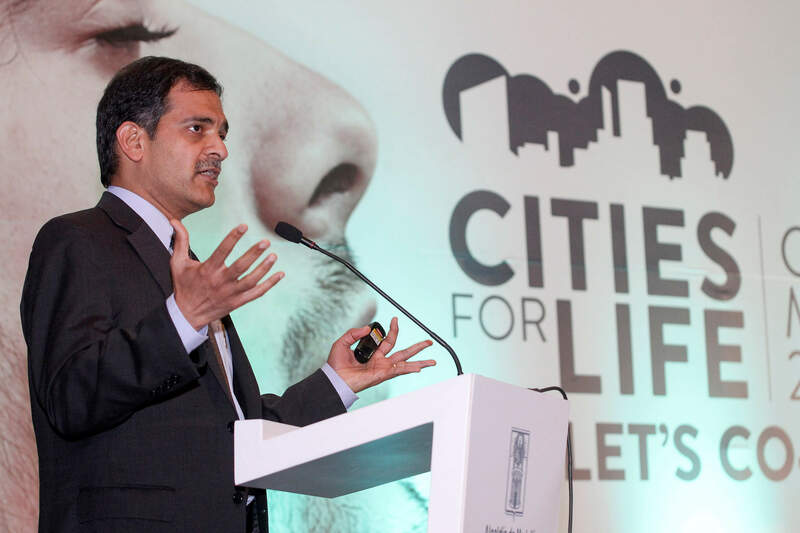 The Cities for Life Global Initiative is being spearheaded by the city of Medellín, Colombia, which hosted a global meeting earlier this month. Suresh Garimella, Purdue's executive vice president for research and partnerships and Goodson Distinguished Professor of Mechanical Engineering, was the keynote speaker for the kickoff event, which drew 2,000 participants representing 116 cities from around the world. He spoke about Purdue as a laboratory for innovation and a catalyst for regional economic development. In connection with the meeting, Garimella released “A Concept Paper on Networks of Excellence for Research and Education,” which proposes the development of multinational collaborations involving government, business and university representatives. These education and research networks could propose innovative solutions to regional grand challenges, including education, energy, health, urban systems, sustainable agriculture and climate change. Purdue’s Cities for Life node will be modeled after this idea. 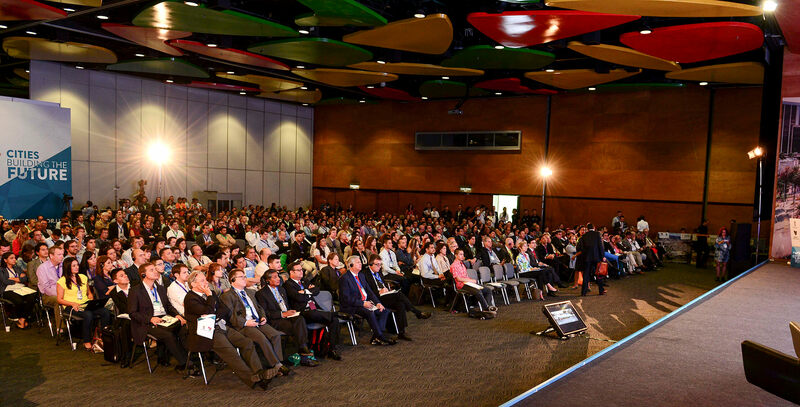 “In Colombia and across Latin America, we have had the privilege of partnering with many universities, companies, and government ministries and non-governmental organizations. Many institutions are committed to transforming research and education systems to serve the 21st century needs of the region, including development of knowledge-based economies,” said Garimella, who co-authored the paper with Anne Slaughter Andrew, former U.S. Ambassador to Costa Rica, and electrical engineering professor and global affairs fellow David Janes. “We developed the Networks of Excellence concept in order to accelerate progress toward robust and sustainable new programs in research and education. These networks can foster public-private partnerships, leverage resources and address issues of critical regional and global importance."